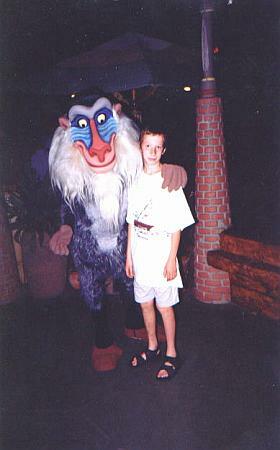 Jimmy and Rafiki at Disney World. Please click on the rose to continue. For the Love of Jimmy is also listed with several Top List memorial sites. To visit these lists, please click on one (or more) of the banners below. If you have a grief or memorial site, please add your link by clicking here.